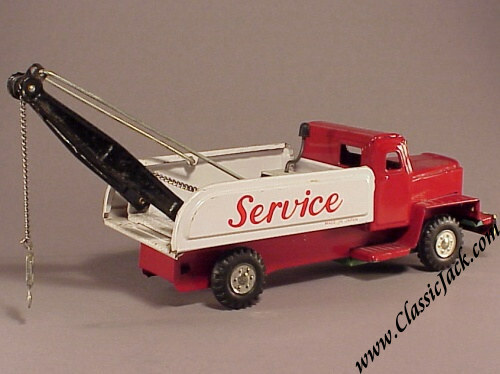 Vintage 1950's Asahi Tin-Plate Tow Truck, Made In Japan. 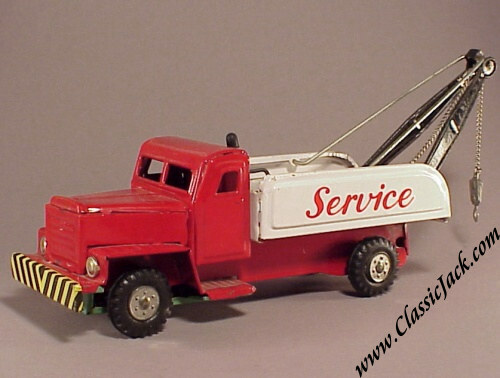 This is a 1950's tow truck in more than excellent shape. 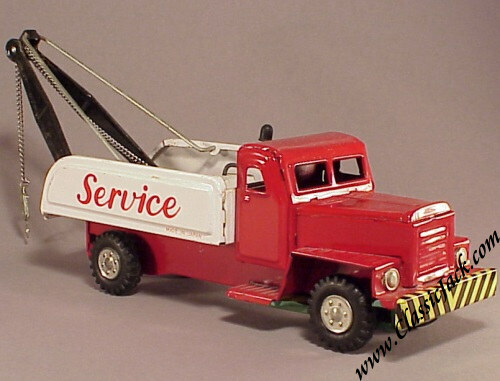 It is a rudimentary design and looks to be based on a 1940's USA tow truck. it has friction drive on the front wheels. 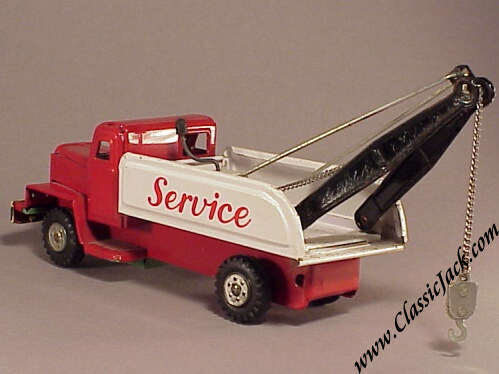 The tow hook is connected to a chain and is activated through a hand-crank mechanism. It is marked "Made in Japan" on the right hand side of the bed (see picture). It does not appear to have been played with and is in close to mint condition with some very minor surface rust on the inside of the bed. It is some 22 cm or 8.75 inches long excluding the boom. 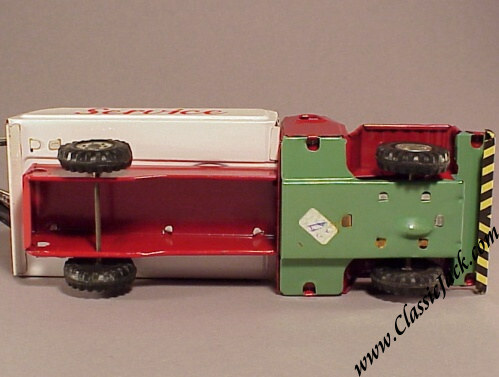 A great toy that dates back to the late 1960's / early 1970's during the first wave of "plastic battery-powered" toys. 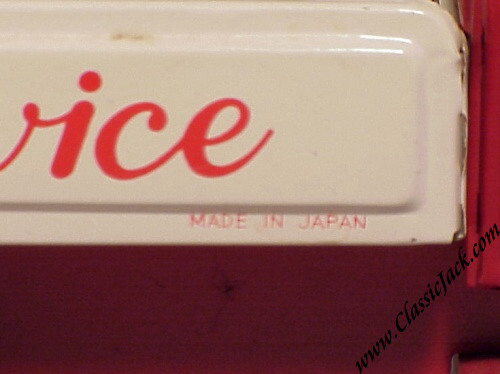 Issued by Asahi of Japan and produced in their Hong-Kong facility. Mint in very decent box (slight discolorization to the box and the window in the box is of course very fragile after all these years. 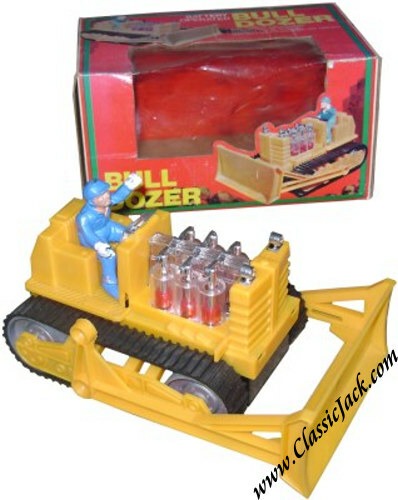 The model is some 27 cm or 11 inches long and looks to be some kind of Caterpillar bulldozer.